As the anthology format has gained a foothold once again in the television and streaming markets every studio is looking for ways to dip their toes into that pool. With some anthology series experience under their belt Deadline is reporting that SyFy is looking to dip theirs in a bit further with the addition of a revival of Rod Sterling's Night Gallery. Leading the charge will be Teen Wolf's Jeff Davis and Midnight, Texas' David Janollari. Night Gallery, which ran on NBC from 1969 to 1973, was Sterling’s supernatural/horror followup to his sci-fi-themed anthology series The Twilight Zone. 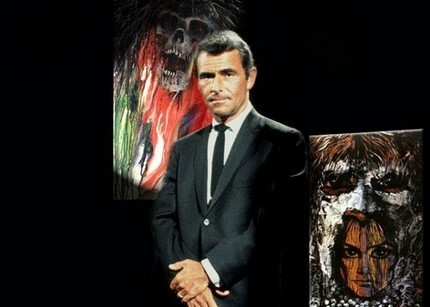 Serling was the host of Night Gallery, appearing in an art gallery setting to introduce each segment of an episode by unveiling a painting that illustrated the story. Created by Davis, who reinvented Teen Wolf as a dark, supernatural genre series for the millennial generation, the Night Gallery reboot will update the 1969 series for the digital age. Dark and twisted morality tales paired with Serling’s specific brand of irony, Night Gallery will explore and exploit every modern nightmare imaginable, mining our fears of the dangers of social media. Davis will executive produce with Janollari via his David Janollari Entertainment. The project reunites the duo who launched together Davis’ Teen Wolf on MTV during Janollari’s tenure as the network’s head of programming. Universal TV, which has rights to Night Gallery, co-produces with corporate sibling UCP.